Anti-UV cloth covers the car body. Fresh air flows through to cool the car. Decrease car interior temperature up to 36°C. Military fiberglass structure and durable canopy. Protect cars from snow build-up and hail. Lanmodo can be folded back into small size. Put into a package of just 85cm in length. Place the package in car trunk, not take much space. With an adjustable stand, used as a beach umbrella. Used as a night fishing umbrella with LED lights. A USB port to charge mobile devices and plug in LED bulbs. With a stand and side canopies, set up a comfortable camping tent. Act as a movie theater by using Lanmodo canopy as a screen. 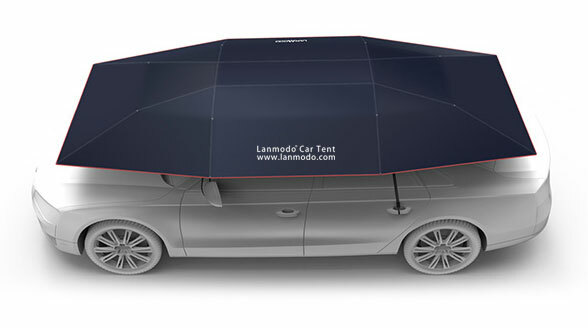 Customize your own car cover, Lanmodo will achieve it. Colors, patterns, logos, business information can be printed. Don't drive when using car umbrella! Please hoop up the anti-wind hook after install the car umbrella! No using when heavy rain or heavy wind! 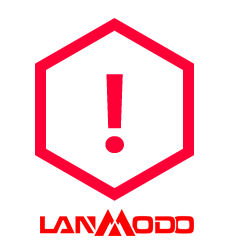 only can withstand strong wind with speed of 13m/s(61km/h). switch which is located at the above of charging port in the suction! charger to charge it until flash red light turns to green!